You may not have heard of Withings before but if you’re into fitness tracking and wearables you might want to read on. The company has just announced its spanking new Activite Pop – an analog watch with a built-in tracker that counts steps, sleep, swimming and can connect to your smartphone via Bluetooth 4.0. 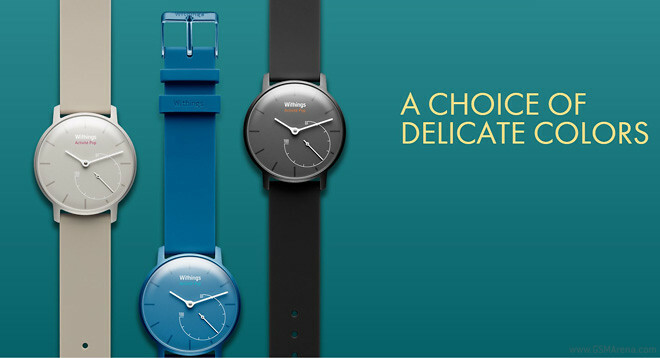 Withings already has the Activite – a $450 variant that offers a pedometer and leather straps. For a portion of the price – $150 – the Activite Pop offers different colored silicone straps and a watchface in Dark Gray, Bright Blue or Sand. The watchface of the Withings Activite Pop is decked out in minimal fashion with an analog duo of watch hands but also has a third hand which shows the percentage progress of your step goal. By default it’s set to 10,000 but you can change it from the smartphone app. The Withings Activite Pop promises a solid 8 month battery life and offers discreet vibration as a morning alarm. The sudo-smartwatch will begin retailing next month.